There was good news in the key economic figures for 2017 for the average Dane. It transpires that everyone is 9,200 kroner better off than they were in 2015. The Danish economy is out of the doldrums and GDP rose by 2.2 percent in 2017 – the highest amount since 2006. Labour market-wise, things are also looking up. Since the last election, 120,000 more people are working in the private sector and unemployment is falling all over the country. According to the minister for the economy and internal affairs, Simon Emil Ammitzbøll, this is down to several years of reform and the correct decisions being made at the right time. The government intends to continue the process and, to that end, has introduced its 225-hour rule, integration subsidies and reduced income tax on work. The government is also working to ensure better conditions for foreigners who want to come and work in Denmark. “Foreigners contribute with new knowledge and experience. At the same time, they step in where companies are looking for labour that they are unable to recruit,” added Ammitzbøll. Rats have become a major problem in many Danish municipalities – so much so that people are being discouraged from going out and feeding the ducks or putting bread out for the birds, DR Nyheder reports. The food put out for the birds also attracts rats and once they have become established, they are very difficult to eradicate. In a bid to combat the problem, the municipalities of Copenhagen, Glostrup, Rødovre, Vallensbæk and Egedal have all put up signs highlighting the problem. However, this might be wishful thinking. In Høje Taastrup, signs were also put up but they were torn down again almost as fast. It seems that people just can’t kick the duck-feeding habit. 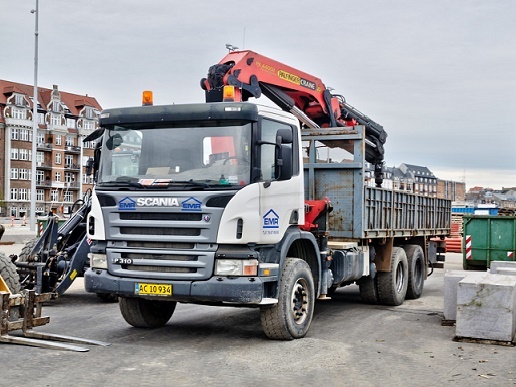 An analysis carried out by the Danish building and infrastructure organisation Dansk Byggeri reveals that if Danes could save five minutes on their daily journey to and from work it would increase GDP by more than 6 billion kroner a year, reports TV2 Nyheder. According to the organisation, Denmark is lagging far behind its Nordic neighbours when it comes to planned infrastructure such as new motorways. There is also a perceived lack of co-ordination regarding public transport and a need to find ways in which intelligent traffic systems can be used more widely. The tax minister, Karsten Lauritzen is working on a new energy initiative that should result in lower electricity prices, reports DR Nyheder. At present, Denmark has the highest rate of taxation on electricity in Europe at 91.4 øre per kilowatt-hour. One reason to lower electricity rates is environmental – to encourage people to get rid of oil heaters and switch to things like heat pumps. At present the tax on electricity generates 12.4 billion kroner for the exchequer and calculations show it would cost the state 1 billion kroner to lower the tax by 20 øre. On the other hand, the electricity bill of a typical Danish family living in a detached house would decrease by 800 kroner per year. Figures from the national statistics keeper Danmarks Statistik show that fathers who are painter and decorators, carpenters or drivers take significantly less paternity leave than those who are teachers, academics or pedagogues, reports Avisen.dk. Workplace culture is a major factor, but experts also point out that the rules need to be changed so that men have paternity leave earmarked for them. “We have to earmark some of the leave for fathers. If we don’t, then fathers are not always clear about their rights and mothers could feel they have a monopoly on the leave,” said Kenneth Reinicke, a researcher in men’s issues at Roskilde University. As well as speaking at the conference organised by the Presidents Institute on leadership on April 17, former US President Bill Clinton arranged to hold private talks with Danish PM Lars Løkke Rasmussen today. Before their meeting, Clinton was due to be given a guided tour of the PM’s offices in Christiansborg and the castle’s great hall. In a bid to set a Danish record, the Natha yoga centre in Nørrebro will be hosting a 24-hour session beginning at 12:00 on April 28 and ending at 12:00 on April 29. The record bid is being held in conjunction with the 48Timer cultural festival. Anyone is welcome and the session will consist of a number of instructors running through a program of simple exercise, relaxation and yogic meditation. Yoga mats, hot tea and healthy snacks will also be available at the Natha Yoga Center (Nordre Fasanvej 230, Cph N). Danish News in Brief: July's first summer day was almost its last!